"Being rich is not about how much you get but how much you can give"
For the third year running, it’s the time of the year again! 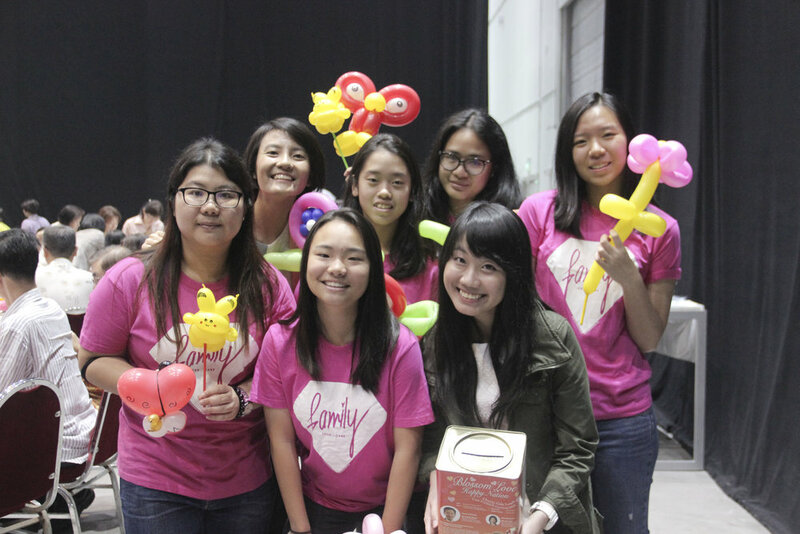 Last Sunday, 25 February 2018, Blossom World Society and Blossom Seeds once again collaborated to bring happiness to the elderly, to the young and to everyone that came for Blossom Love Charity Gala Lunch. 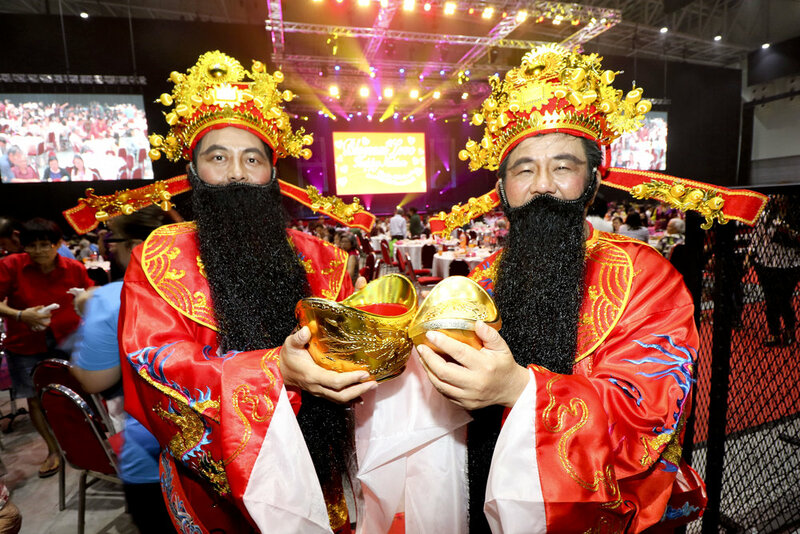 Although it was held during the Chinese New Year festive period, other races and religion were not excluded. There were an astounding 180 charity tables. Of which, 51 tables were donated to the elderly while 22 tables were donated to the kids from children homes; amounting to over 730 beneficiaries. It was a heartwarming sight to witness people from different ages, different races and different religions gathered together to celebrate this joyous occasion. 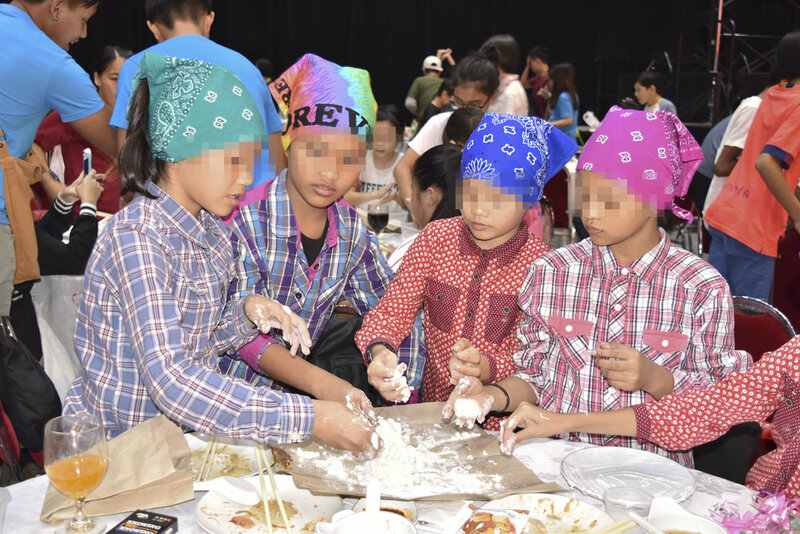 As with previous “Blossom Love Lunches”, it is done to encourage the masses to spread love and gratitude to others; and also instilling in our younger generation the values of sincerity, gratitude, kindness and service. This year we have partnered with various educational institutes such as Singapore Polytechnic, Anglo-Chinese School (International) Singapore, Nanyang Technological University and Institute of Technical Education. 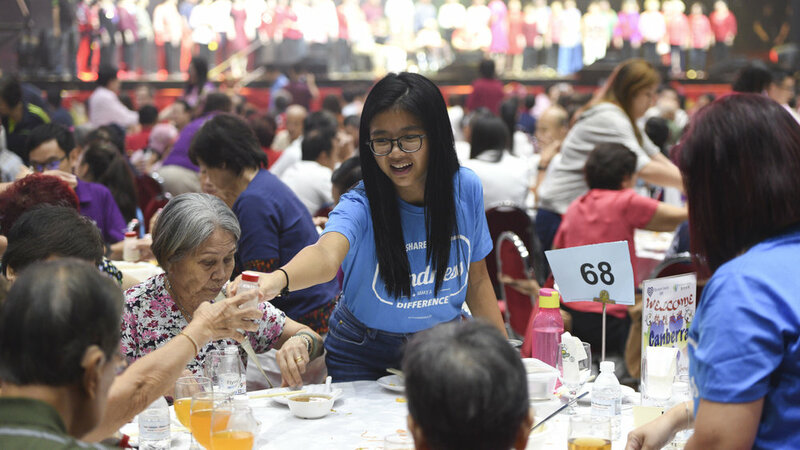 These youth volunteers are presented with the opportunity to serve the elderly and the young to show their appreciation. We are also deeply honored to have Mr. Ong Ye Kung as our Guest of Honour, and our honorary advisor Ms. Sim Ann as our Special Guest. It is not often that you get to hear the singing of our ministers. 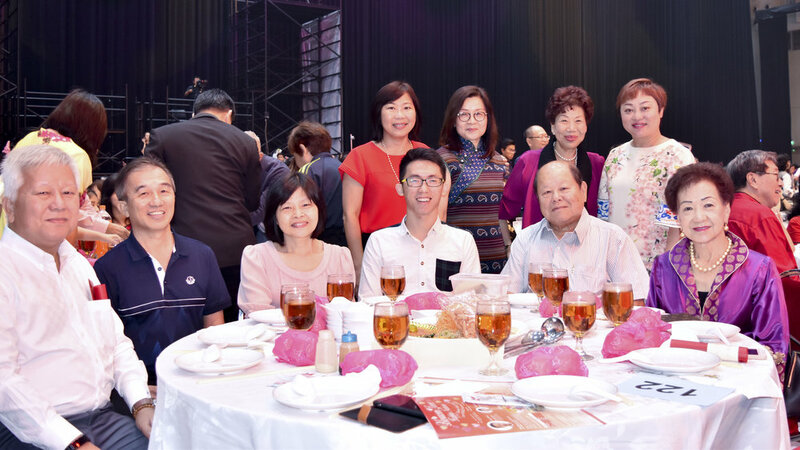 However, for charity and for this event, Mr. Ong Ye Kung ‘donated’ his beautiful voice, garnering the support of the masses and raising over 100,000 dollars! We are deeply grateful to him, the donations of many kind Samaritans, the guests that graced our event and the hard work of all the volunteers. Blossom Love Charity Gala Lunch will definitely be back again and let us continue our endeavours to make the society a more gracious one. See you next year!